If one thing is clear, is that Star Citizen is one of the most ambitious games in PC gaming history, an epic space combat, exploration and trading game set in a persistent universe shared by dozens of players. But the project, which his led by renowned game designer Chris Roberts, has been hit by numerous delays since its crowdfunding campaign began in 2011, and Star Citizen does not have a release date yet, and neither its eagerly awaited alpha version is ready for players to enjoy yet. Despite this, though, Star Citizen gets getting money from millions of enthusiastic backers, who have pledged a whopping $172 million to the project to date. 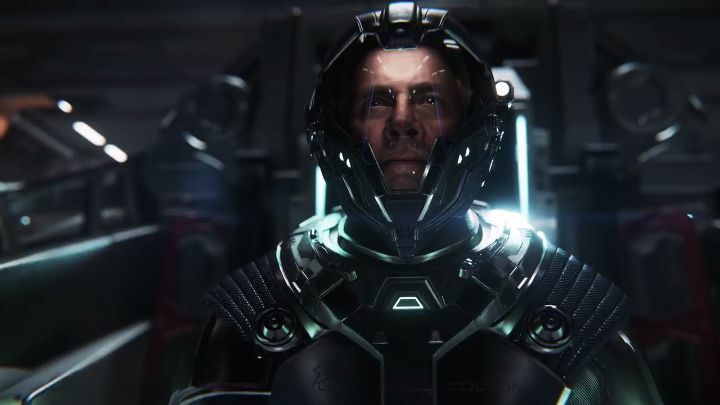 Aside from Star Citizen itself, the devs at Cloud Imperium Games (Chris Roberts’ company) are also working on Squadron 42, the game’s single player campaign which was slated for release in late 2016. This, as you might expect, has been postponed too, with those who have already purchased the campaign (something which is possible to do right now on Star Citizen’s website) likely disappointed by the fact Cloud Imperium Games has yet to deliver the highly-anticipated space combat game, which features Hollywood stars like Gary Oldman, Gillian Anderson and Mark Hamill, who did motion capture work for the game. But at least Cloud Imperium Games has released a video showing Mark Hamill’s character in the game, and he does not appear to be a nice guy. Actually, the man comes across as a grumpy old vet as he addresses his wingman-to-be (the player character). One nice touch is that we get to hear the player character “think” his response when picking a dialogue choice, something that might remind you of Chris Roberts’ old Wing Commander games. Also, it’s clear this cutscene has high production values (it sure looks stunning, even taking into account how great games look these days), but it remains to be seen whether Squadron 42 will be as much fun to play as designer Chris Roberts’ earlier games. Here’s hoping it will, and also that both Squadron 42 and Star Citizen itself deliver on their promises when they are released sometime in the future.